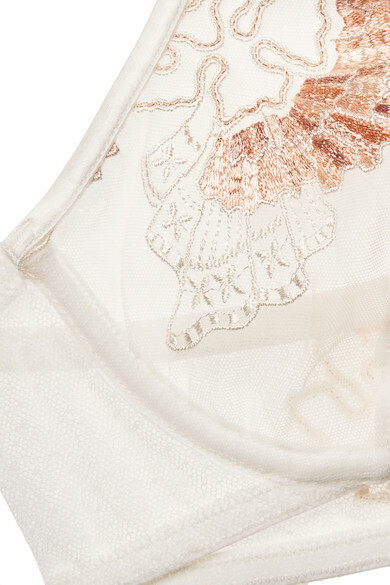 La Perla's 'Love Stone' bra is defined by its shimmering embroidery, inspired by natural rock formations. Made from soft stretch-tulle, it has thin adjustable straps and underwired cups for gentle support and lift. Wear yours with the matching thong.